So July turned into Bling Month and we have been loving it! We have so much glitter everywhere and we don't mind. Don't tell us we have glitter on our face, WE KNOW! Be sure to stop in, in the month of July and get a second color of glitter on your toes for free, get glitter in your Magic Manicure for free or get a full set of Glitter Acrylic Nails and get a second color/glitter and an embed for free! Bling Month rocks our face off!! Full set of Glitter Acrylic nails with a two color fade and hand-painted accents, with matching Glitter Toes to match! Gumball Nails with black, hand-painted accents and Candy Drop nail art! Full set of acrylic nails with a two color glitter fade and black lace impressions and black, hand-painted accents! Glitter Toes with a two color fade! 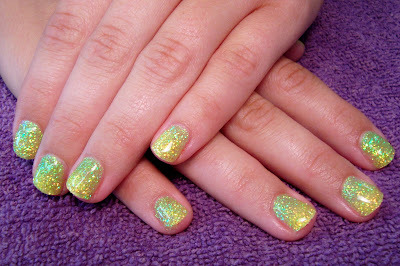 Magic Manicure with a two color fade and glitter toes with two different colors for a fade! 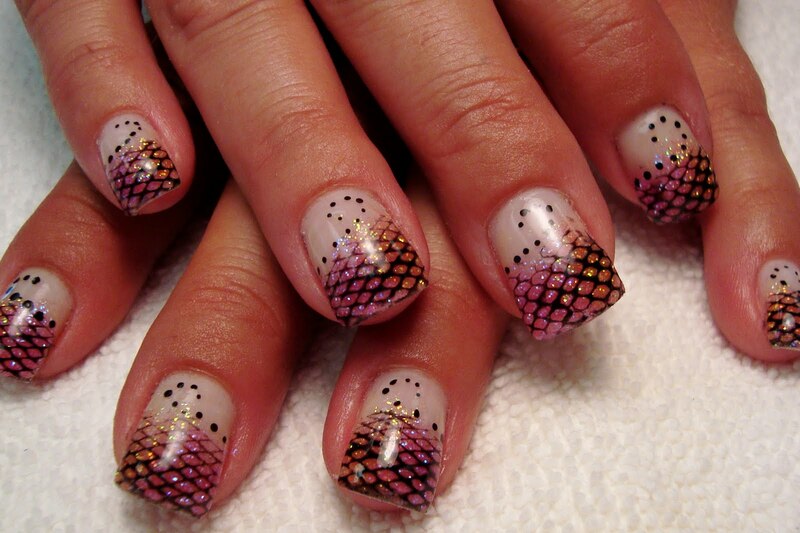 Full set of acrylic nails with a colored acrylic and glitter fade with hand-painted accents! Magic Manicure with a two color fade! Gumball nails with hand-painted accents!